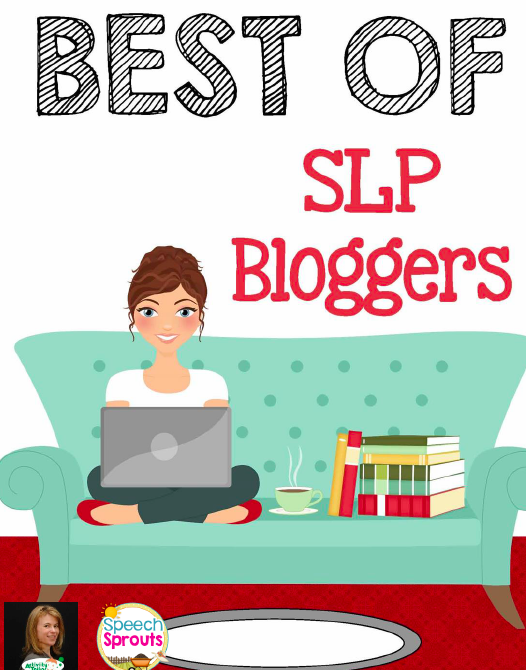 Elizabeth Rosenzweig MS CCC-SLP LSLS Cert. AVT shares some of the most common questions she hears about speech, articulation, and people with hearing loss. My child is [age] and doesn’t say the [b, f, s, k, etc.] sound yet. Is that okay? 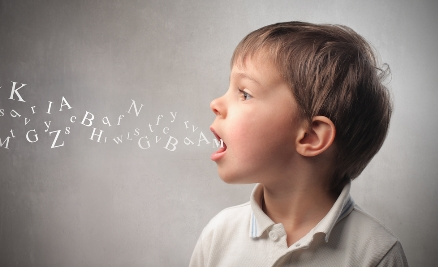 All children, with and without hearing loss, develop speech sounds (called phonemes) gradually. HERE is a chart with norms for reference. Some sounds, like /p, b, m/, come earlier, and others, like /r, z/, come later. In fact, it is perfectly within normal limits for a child with intact hearing and no other issues to continue to struggle with some of the harder sounds (sh, th, etc.) and not have mastered them until around age eight. (Here is a good book, The Late Eight, that discusses these later-developing sounds.) Norms vary for speakers of other languages, and some sounds are present in one language but not in another (for example, /p/ does not exist in Arabic, so even adult speakers of that language may have difficulty distinguishing /p/ from /b/ if they learn English). Children with typical hearing learn to produce speech sounds by listening to the speech around them and experimenting with their voices (vocal play, or babble) to try to replicate them. At first, children produce sounds by “accident” — they’re just babbling. Slowly, they learn that these sounds can combine to make words that have meaning, and they become more accurate at imitating the adult models they hear. For children with hearing loss, we need to give them time to make up for the hearing and vocal play opportunities they missed as babies. Remember, even if a child is amplified early, typically hearing children develop their auditory sense twenty weeks before they’re even born, so we have some catching up to do! In general, for children with hearing loss, I like to look at hearing age when considering the child’s speech sound production. If a four-year-old child has just received CIs, I would not expect to hear four-year-old sounds. Rather, I would start from the beginning. Though it can be tempting to jump the gun and expect the child to produce age-appropriate phonemes, it’s important to remember that speech sounds develop in sequence for a reason. Learning early sounds first builds the basis for the production of later, more complicated sounds. Don’t cheat your child’s brain out of a strong foundation. Why do some people with hearing loss talk with a “Deaf Accent”? First of all, it’s in extremely poor taste to comment on another person’s speech or accent unless you’re the clinician they’ve hired to help them. I understand that this is a question many people have, but please, please don’t ask it to the person with hearing loss’s face or discuss it with others behind their back. After all, when’s the last time you learned how to talk without hearing? Ultimately, we only speak as well as we hear. With good access to the sounds of speech from the beginning, andauditory verbal therapy, people with hearing loss can learn to speak naturally and without articulation errors. When people with hearing loss do not have good access to sound or appropriate intervention, or they get started too late with either of those components, speech quality can suffer. But here’s a secret I’ll tell you as a Listening and Spoken Language Specialist: I don’t worry about vocal quality. With appropriate technology and intervention in place, barring other issues, it will come. In terms of cognitive, social, and academic success, language is more important anyway. What is the difference between Auditory Verbal Therapy and traditional speech therapy focusing on articulation? Auditory Verbal Therapy is specialized for children with hearing loss because it focuses on growing speech skills naturally through hearing and training parents to be their children’s first and best teachers. 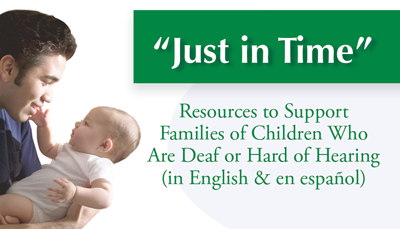 For children with hearing loss, not just any SLP will do. How do Auditory Verbal Therapists “teach speech” when they don’t let the children see their lips? Typically hearing babies learn speech through listening, not through looking. With appropriate hearing technology, children with hearing loss can do the same. Learning to speak through listening leads to more natural speech production that lasts. HERE is more information on why lipreading (and therefore, learning to talk by looking) doesn’t work. My child is leaving out or substituting some sounds. What is this all about? When a child has a consistent pattern of errors, that is, their mistakes seem to follow a “rule” (like, “I always leave off the last sound in words” or “I always make sounds from the front of my mouth like /t/ instead of the back of my mouth like /k/”), we call it a phonological process. For these mistakes, as with all mistakes in children with hearing loss, suspect hearing first. If the child does not have good access to sound, the ends of words can be inaudible, or soft sounds like /t/ get missed entirely. Of course you wouldn’t say it if you couldn’t hear it! Eminent Auditory Verbal Therapist and author of Speech and the Hearing Impaired Child, Dr. Daniel Ling, includes in his book a list of perception errors that are often confused with phonological processes. For more information on these cases, see this article: Is It a Speech/Articulation Issue or a Hearing Problem? What is babble and how does it lead to speech? Babble is the practice that we do to come to speech on our own through a process of trial and error. Babies are incredible little scientists, playing around with their articulators (teeth, lips, tongue, etc.) and figuring out cause and effect (“Oh! When I do this it makes a funny sound.” “Oh! I made that cool sound by accident. I wonder how I could do it again.” “When I say it this way, it sounds more like Mom and people understand me. I guess that’s how I’m supposed to say it.” etc.) Without calling it formal “practice” or anyone ever teaching the baby anything, he learns to manipulate his articulators and builds his auditory feedback loop (the ability to listen to, monitor, and change his own speech). Babble progresses through stages of increasing complexity, from cooing/gooing (those baby oohs and aahs), to reduplicated babble (strings of the same sound, like “babababa”), to variegated babble (strings of a variety of vowels and consonants, like “bagidagu”), to jargon (a mixture of babble and some true words, like “Mommy, doggie bagadu”). Given access to sound and a supportive listening and spoken language environment, children with hearing loss can have these important foundational babble experiences, too. I am able to understand my child, but no one else is. How can we fix this? To answer this question, it is important to consider the age of the child. Even for hearing children, it is normal to go through stages of baby babble before speaking words clearly. As discussed above, there is also a sequence of speech sound development, so young children may not “have” all of the sounds they need to speak words clearly at a young age, and substitute others instead. This is completely developmentally appropriate. A child’s “first true word” is really the first consistent label-object association he makes, whether or not the word is a perfect model of adult speech. For example, if the child consistently calls the family dog, Barney, “Baba,” and uses that word to mean only Barney and nothing else, then that’s a true word for that child. Would anyone outside the family understand it? Probably not. But the child has made a crucial connection that sounds/words are used to label specific things. As children’s articulation and language skills grow and develop, they become easier to understand. As a general rule of thumb, we aim for a child to be 80% intelligible (understandable) to an unfamiliar listener at age three. My child is having trouble with speech articulation. Should we look into a diagnosis of Apraxia and/or Oral Motor Therapy? This question comes up all the time, but what does the research really say? While it’s tempting to see a child with hearing loss struggling with speech despite all our best efforts and label it “apraxia” in an effort to explain/exonerate/reassure ourselves, the research shows us that childhood/developmental apraxia of speech is grossly over diagnosed, to the tune of about 75% of cases being false positives. Why is this? Partially, I think it’s the human tendency to look for answers. Another factor could be that the majority of people who work with children with hearing loss still have an under-appreciation for the importance of audition and neural pathway development and rely instead on outdated information and methodologies. Always suspect hearing first. Finally, my theory is that we may be causing some of this problem ourselves: Apraxia is characterized by “groping” movements of the mouth (e.g. the child aims to say a sound but his articulators are all over the place, missing the mark)… this may be an imitation of the exaggerated mouth movements that some parents and professionals mistakenly use, thinking that speaking in this manner will improve the child’s understanding and articulation (it won’t, and here’s why). We may also be seeing difficulties in articulation in children with hearing loss when we haven’t given them adequate time for listening and vocal play experience before launching into trying to get them to imitate words. Regardless of chronological age, we need to give some time for auditory experience first. Yes, there are certainly children out there who truly do have apraxia, and yes, some of those children might have hearing loss. But, given the general over-diagnosis of apraxia in general combined with the tendency I see for professionals to use “apraxia” as code for “what I’m doing isn’t working, so…”, I am extremely cautious to come to this conclusion. Even scarier, to me, is the fact that once people get in their heads that a child has apraxia, the next common “wisdom” seems to be that Oral Motor Therapy is the next “logical” conclusion. Non-Speech Oral Motor Exercises (NSOMEs) are unsupported by scientific evidence to improve speech production. Parents continue to be told that non-speech exercises, like blowing a feather, smacking the lips together, holding up a cheerio with the tongue, etc., will lead to improvements in speech production because the child’s articulators are “weak” or “uncoordinated.” Let’s unpack this for a minute. First of all, if you want speech, you practice speech. If you wanted to be a basketball player, you wouldn’t practice moving your hands in the motion of dribbling without using an actual ball and think it would improve your skills. You’d just be waving your hand back and forth at the ground. Secondly, the amount of strength and flexibility required for articulation is really, really low. We call it the “50% Rule” — that is, if 50% of a structure is intact, you should be able to produce the sound. This is why people who have had partial glossectomies (tongue removal, usually due to cancer), or lost a few teeth, or are elderly and very weak, are still able to speak. You’re not lifting weights with your tongue. Thirdly, even if great strength were required for speech (and it’s not), you gain strength by working against resistance until the point of failure (basic Workout 101 skill here). Puffing your cheeks and licking your lips isn’t doing this. So why do NSOMEs persist and why are parents constantly being suggested that they might just be the cure for what ails their children? Sadly, it’s all about supply and demand. Companies and ill-informed (and/or unethical) professionals continue to make money hand over fist providing these services because parents who don’t know any better are desperate for anything to help their children. Parents who have already been through NSOME therapy may well believe that it has helped their children, but this is an anecdote about one child, not evidence. Given the current literature on the subject, it’s hard if not impossible to justify the use of NSOMEs, but it’s also hard if not impossible for us as humans to admit our mistakes. Parents, upon finding out that they’ve been taken for a ride, feel justifiably hurt and defensive — they were just trying to do their best for their child! Professionals, whether they used these exercises purposefully or inadvertently due to lack of knowledge, need to have the integrity to acknowledge their mistake, learn more, and change their ways. But we’re human, it doesn’t always happen. It’s a lot easier to continue practicing the way you have for the past twenty years (and call your anecdotes of success “evidence” to justify it), than to face the evidence the harsh light of day. Non-Speech Oral Motor Exercises to improve speech production are just not supported by evidence, and it’s frustrating to see how they continue to persist and be promoted, even at the highest levels of our profession. For a comprehensive review of the literature, see What Does the Research Say On NSOMEs? I consider it a must-read! What are speech acoustics and how do they relate to articulation? Speech acoustics is the study of the acoustic (sound) properties of speech sounds (phonemes). This chart shows were the different speech sounds fall relative to an audiogram of human hearing. Note that some sounds appear twice on the chart. Why is this? Sounds are made up of formants, different bands of energy that together are perceived as one sound (like a chord on a piano). Speech acoustics analyzes the properties of each sound (where does it fall in terms of pitch and loudness) and relates that to a person’s articulation abilities. For example, if someone has aided hearing only through 3000Hz, it makes sense that they would have difficulty producing the /f/ sound because it is inaudible to them. Likewise, many substitution mistakes that may be heard as articulation errors can, when viewed through the lens of speech acoustics, really be traced back to an issue with the hearing device’s programming, or a change in the person’s hearing status. Remember, we only speak as well as we hear. 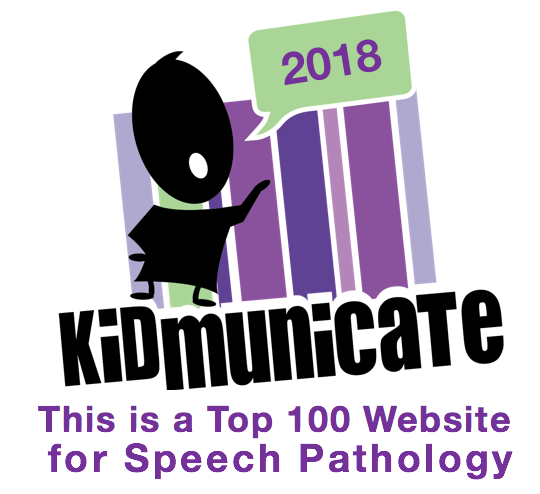 Can a Listening and Spoken Language Specialist/Auditory Verbal Therapist help with articulation, or do we need to see a traditional Speech Language Pathologist? 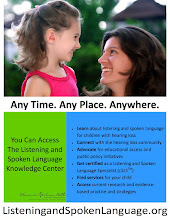 Listening and Spoken Language Specialists, whether they are SLPs by training or entered the certification route from some other profession (for example, teachers of the deaf and audiologists are also eligible to apply), undergo rigorous training and an exam that requires a thorough knowledge of spoken language communication and strategies for listening and spoken language development. They are eminently qualified to address articulation issues in children with hearing loss, especially because they have the expertise to address them with a rich background knowledge of speech acoustics and auditory development. Some AVTs will address articulation within their sessions, and others will discharge to a general SLP if they feel the child has appropriate auditory skills but just needs some speech skill polishing. My preference, and my practice pattern, is to stick with the former option. In the relatively rare cases where a child is caught up in all other areas except articulation by the time of discharge, I prefer to continue seeing that family for these goals because 1) they still need to be addressed from a place of listening first by someone who is listening-brain-oriented and 2) I believe that parent coaching is still critical to build lasting success with any skill, including articulation. Auditory Verbal Therapy is more than just “listening skills,” and speech and articulation are certainly within the LSLS scope of practice. Can my speech improve if I receive a cochlear implant as an adult? Absolutely! While it is important to have realistic expectations given your hearing and communication history, we only speak as well as we hear, so an improvement in in your hearing status can lead to improvements in your speech. Having greater access to sound will give you a chance to build and refine your auditory feedback loop — the ability you have to hear yourself clearly and monitor and correct your own speech. You’ll also be able to hear others more clearly, too, giving you better models. Some sounds, like f, s, or th, that you’ve never heard before (or never heard clearly) in your life, should be accessible to you with a cochlear implant. Practice and therapy are key, but you may surprise yourself and your family and friends with the changes you see. Who said you can’t teach and old dog new tricks?